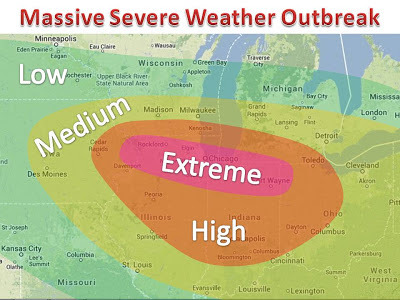 Every ingredient has come together to lay the groundwork for a historic severe weather outbreak through the most populated area in the region. A possible derecho could move through the extreme risk area. Widespread area of 60mph-100mph winds are also possible. Northern Illinois and Northern Indiana are under the gun. 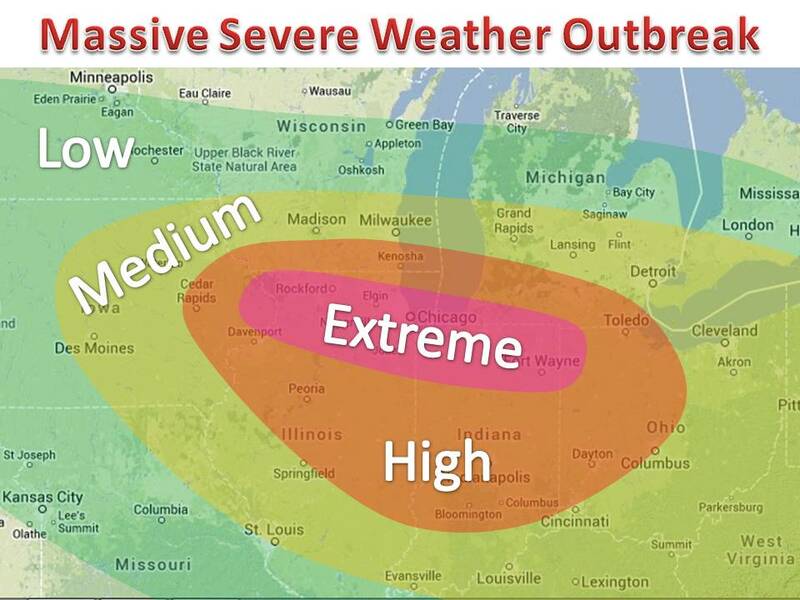 Not to mention the area in red will also see a high risk for severe weather. Be sure to watch for local warnings and watch, they will come. Watch our facebook page for more information and community today.